Yesterday, on September 23,” the authorities" of Crimea terminated the emergency situation in Armyansk. This was stated by the head of the Ministry of Emergency situations in the Republic of Crimea Sergei Shakhov, informes the press service of the Administration. So, the emergency situation was ended at 15:00 by the local time. According to Shakhov, a decision on emergency situation termination was adopted in the Armyansk Administration Office at a meeting of the Commission on Prevention and Elimination of Emergencies and for Ensuring of Fire Safety. Note that, a decision to recommend to a "head" of the city a termination of the emergency situation was adopted on September 21, at the meeting of the operational headquarters on the situation in Armyansk. According to the head of the occupation administration of Armyansk Vasily Telizhenko, children will be returned to the city from September 24-25. 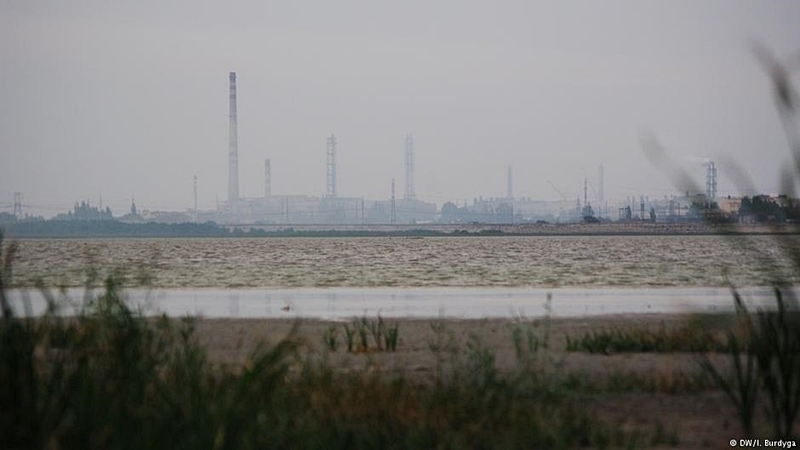 Earlier it was reported that due to the ecological disaster on the north of Crimea following the emissions at the plant "Crimean Titan", 2,000 879 people were evacuated from Armyansk to health camps and sanatoriums of the peninsula.